You'll get eaten by a crocodile. Do you live near Florida? No? 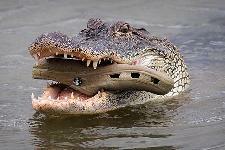 Well, a croc will eat you anyways.